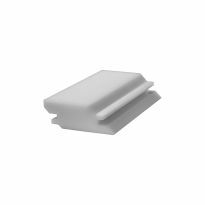 Smooth-running sled ensures perfectly square coped rail ends with virtually zero tear-out. 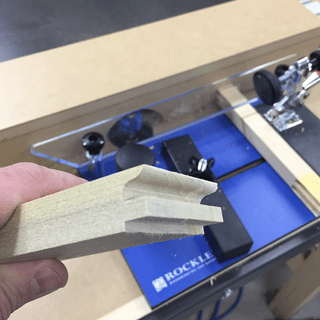 If you're building cope-and-stick doors and drawer fronts, our new Rail Coping Sled will be an indispensable helpmate. 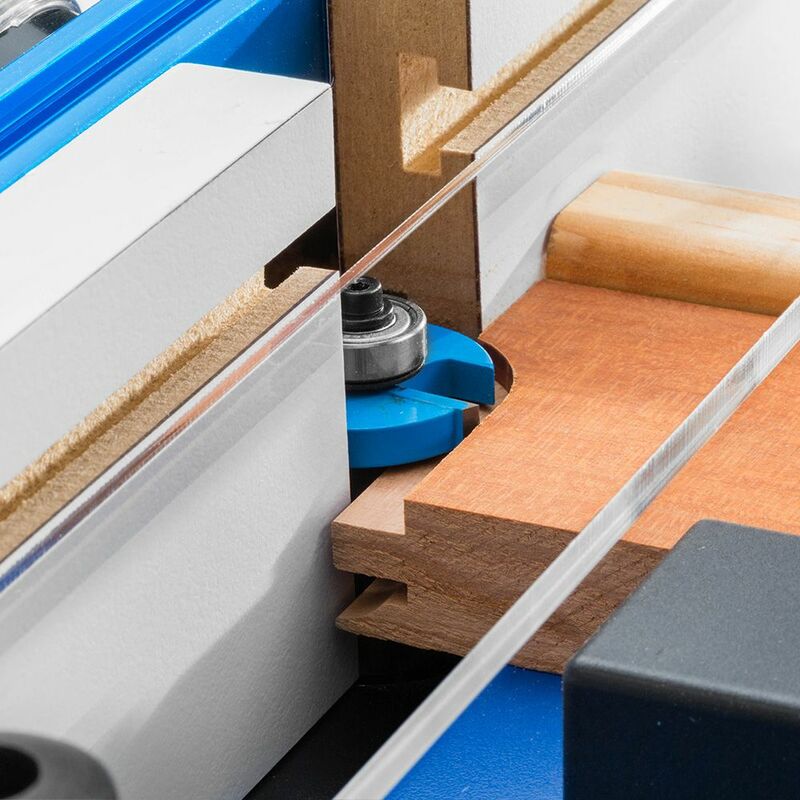 With its smooth-sliding phenolic base, and sturdy toggle clamp holding your stock firmly against the fence, your rails will travel unwaveringly past the cutter for the cleanest, squarest cuts you can imagine. Particularly with drawer fronts, which sometimes use very narrow rails, the sled prevents parts from dipping in too deep and keeps your hands safely out of harm's way. A sacrificial block can be attached to the fence to prevent endgrain blowout, while an abrasive strip prevents the workpiece from wandering. 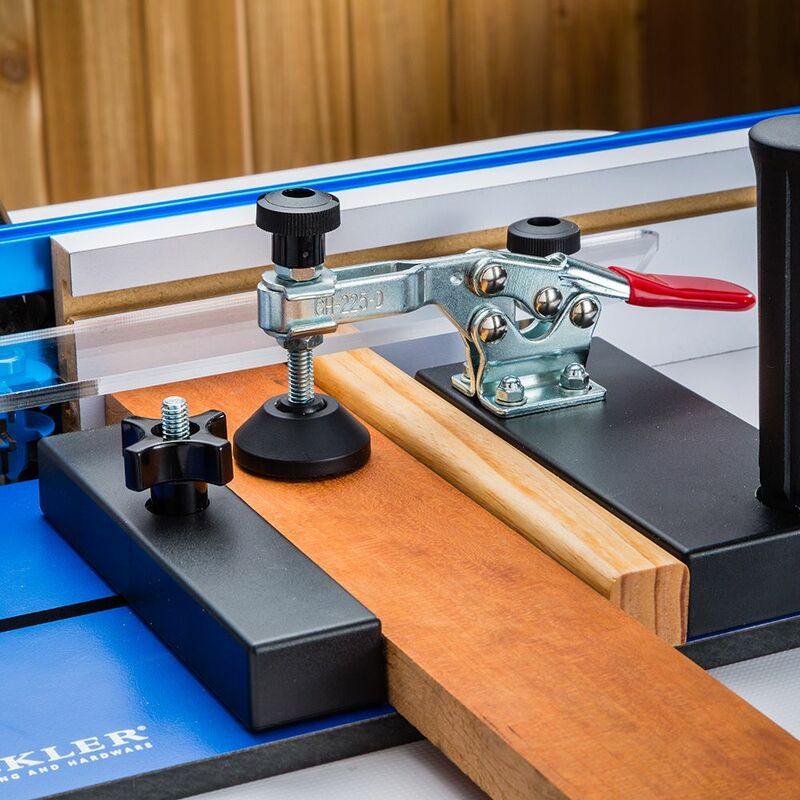 Unlike many jigs that use the miter slot, our sled uses only the fence as a reference, so there is no need to waste time aligning the miter slot parallel with the fence. 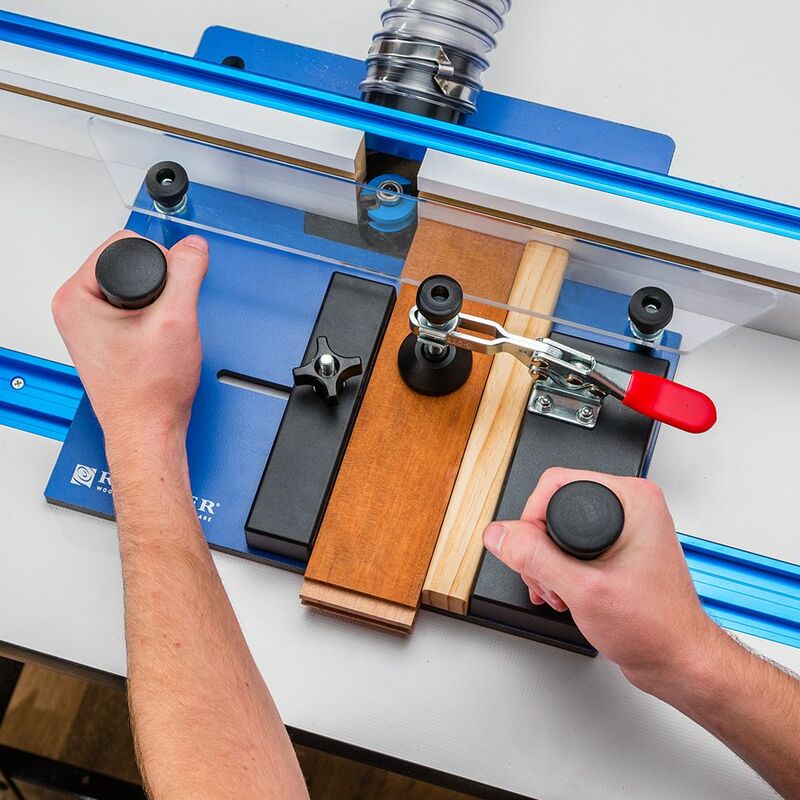 In addition, the coping sled has been redesigned so that the reference edge is a separate clear guide rail elevated 2'' above the table, meaning there is no risk of cutting into the sled. Easy to put together and appears to be well designed. This makes using the router table a safer process. This is a great coping sled, I would definitely recommend it. I bought this sled as a safety measure for my large shaping bits. Works just fine and I feel more confident and safe while making the cut. Works great to keep your work steady, accurate and safe. I’m refacing my kitchen, and making a dozen or so new doors. When I got to the point of milling the rails, using miter gauge / fence on my router table, things went well, but I was curious as if it could be easier with the jig. I made a couple of parts using the above setup, ordered the jig, and waited for it. I have to say that using this jig makes it virtually child’s play to make reproducible, quick and easy rails for a rail and style door frame. It would have gone OK with the miter gauge and fence setup, but this was even better. The problem with jigs is they take up space but when you need them, you need them now. 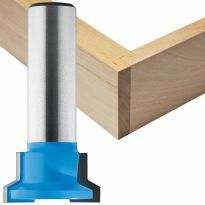 This one works great for cutting rail ends for raised panel doors and other times when I cut end grain. Very satisfied with the way it performs. Great tool for the price. Will last many years to come. Great addition to the cabinet shop. Wish the deck would allow a little wider material, but for making end cuts on stiles it is a must and it works great!!! Works great. Very easy to use. Great value, my joints were perfect. I’ve had very a very good experience with this item. It works great for cutting stile and rails. Easy to use and very accurate! Super tool, easily assembled and very functional. Makes the job go faster, neater, and safer. Should had this tool a long time ago. I tried the tool as soon as I got it and have been using it everytime I need it since. It's a very good tool, I like it a lot and it does what it needs to do very well! 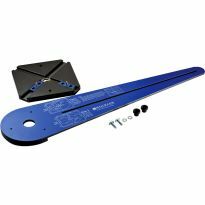 This sled is just what you are building raised panel doors, this is your tool of choice. Easy and holds wood safety for the cut. Good for what I wanted it for. Overall good product. Excellent tool for routing door panels. No more worry of the wood kicking out and the chance of losing a finger. It was so simple to use and assemble. It makes using the router a pleasure. When I recently needed to cut narrow shoulders on thin stock for tenons, this coping sled performed well. Easy to assemble and calibrate, fast mounting of parts, and very stable in operation. Holds the wood securely and at 90 degrees to the cope is true and square. I was pleasantly surprised at the quality of the cuts made on my last project's rails. 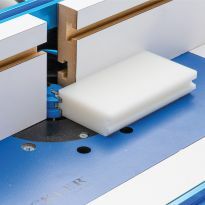 The Rockler Coping Sled held the piece firmly and the cut was extremely accurate. The only change I would recommend for this coping sled would be the addition of one more toggle clamp to ensure that longer rails are held in place. I would highly recommend the Rockler Coping Sled to other wood workers. Poplar cabinet with dovetailed drawers and double raised panel doors. Haven't used it yet, but it arrived with lightening speed, and it's simplistic design allowed me to assemble it in minutes. Slides easily on my Bosch router table ra1181. I look forward to it's operation. Being a new woodworker of only 3 years I need all the help I can get when it comes to joinery and this sled really helps in making perfect router cuts. My only complaint is that I did not get my 25.00 gift card. The Rockler Coping Sled is amazing! I feel comfortable and safe when using it. The quality is great. I was using a homemade sled, which eventually wore out. Rather than build another one, I bought this sled because it looked like it is much more durable and will last a lot longer. I have been using it to make oak doors and it works very well. I especially like the clear guide. 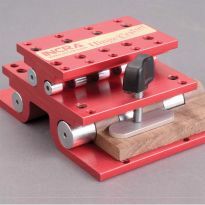 If you are making doors then this jig will be very helpful in making the end cuts for your rails. The quality is very good. 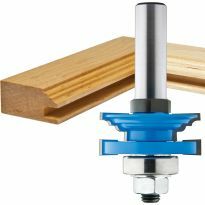 If you are making several doors at a time you can change out the pieces quickly and with the 2 adjustable pressure points the piece is held firmly in place. I especially like the clear protection shield that allows you to see while the piece passes the cutting bit. Two large hand grips allow you to hold the piece firmly against the guide. Much safer way to trim small pieces. Great for a small shop. I was in need of a slightly deeper cut with my router bit than the smallest roller head would allow and the sled provided just want I need to make mullions for my cabinet doors. Love it makes it easier to handle. Don’t like that after I bought it there was a $25 gift card promotion in the next flyer. I really like this jig. Does the job better than anything else I've seen. Perfect for what I needed it for. Works great, easy to setup and use. Works great. Easy to set up.Highly recommend. This is a huge improvement over the older version. Pleasure to use. With 30 doors to make, thats 60 rails. I set this sled up exactly once, and have not had to reset it again. It is perfect for the job. Hint: For the backer board, use wood a bit harder then what your cutting. You will get zero tear out. I cut about 15 backer boards in advance, and it just makes the job go faster. It took me a bit to get the hang of it but once I did I love it. I don't know how I made things before without it. Worked very well, made the cuts very easy and accurate. Very well made. If you're shaping stiles for cabinet doors, this is an indispensable tool. Holds the work firmly and precisely. A must for any router table. 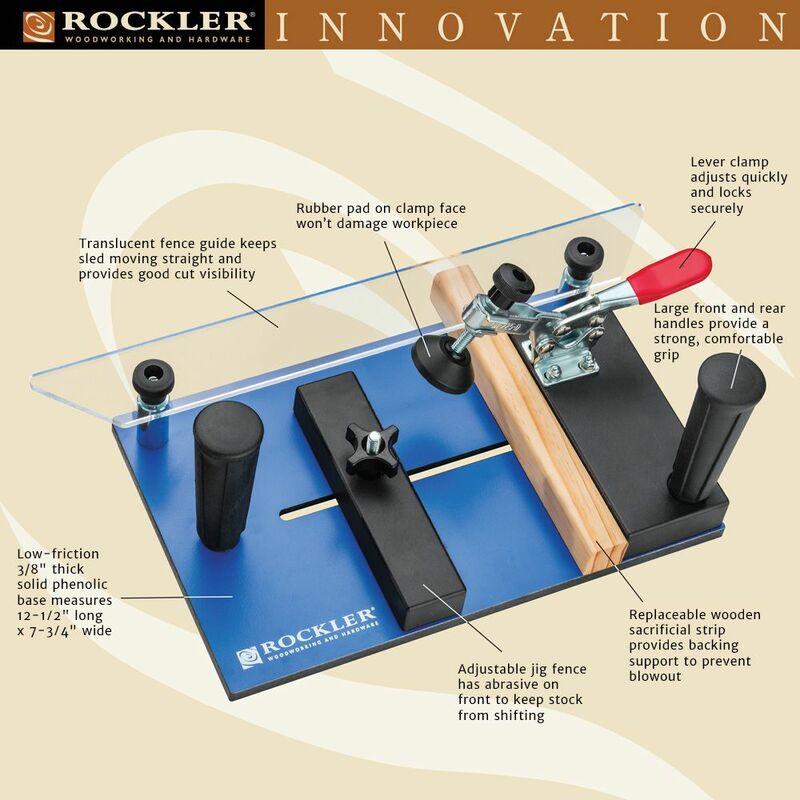 Rockler always has the best. I seen this product being used in an instructional video and really liked the look of it and seemed to be very operator friendly. To use making rails an stiles raised panel doors - do you guys offer a setup jig that work with this sled? Making a lot of doors so this will help with the rails and be more accurate. I think this will increase the accuracy when I am coping joints. Because I want to make 18 shaker-style cabinet doors for the cabinets in my dining room and this product was highly-rated. Also, the instructional video on Rockler's website was very helpful in illustrating how this product should be used used and it said using this product would reduce the likelihood of tear-out, which I would like to avoid. I also like that this product will make me feel safer while using my router table. I am making some raised panel doors for a cabinet and was looking for a coping sled to guarantee good clean edges for my doors. Reviews were good on this item and the price is very reasonable. Just needed a coping sled and this was what I was looking for. A well designed tool that will replace my homemade jig. If you build cabinet doors and use a router table for this process, this is a must-have. After I put a lovely ogee across my palm from making a picture frame I decided maybe a sled would be a prudent choice. I need to repair several windows, and plan to use this tool to optimize the repair of the sash's. To reduce tear-out on the tenons. Your customer reviews of the Coping Sled and its price is well below the competition! To hold the wood straight. Hoping to eliminate small errors when using expensive lumber for projects! 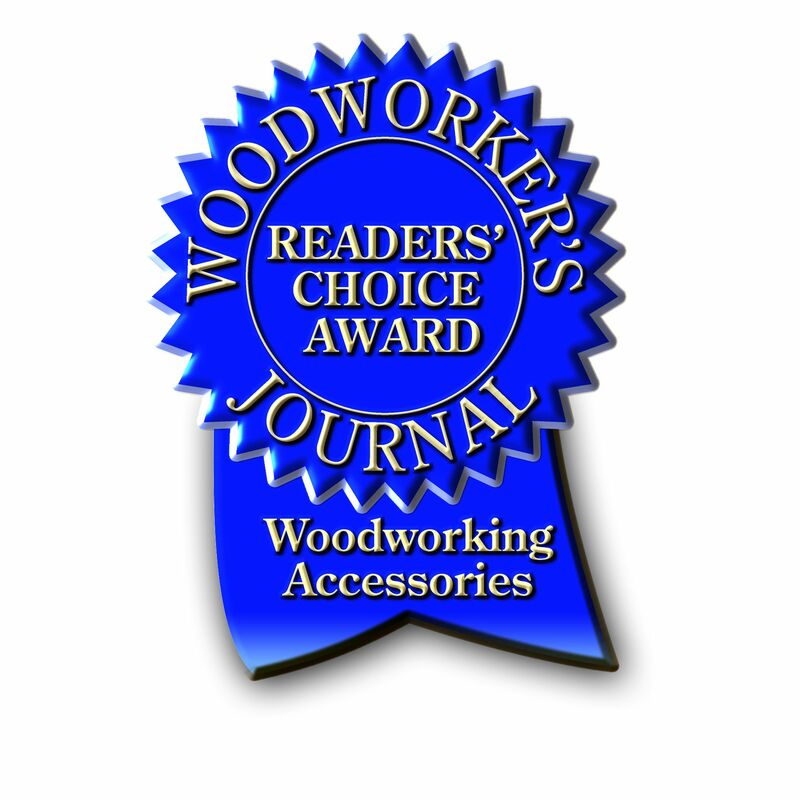 Love most other products I have gotten from rockler. I have wanted an easer way to create proper alignment for my holes . 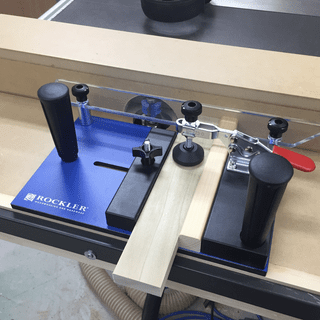 Easier and safer then holding or clamping to miter gauge in track on router table. I will use this to make the rails for cabinet doors. This will be a safer way to hold the rails in place. 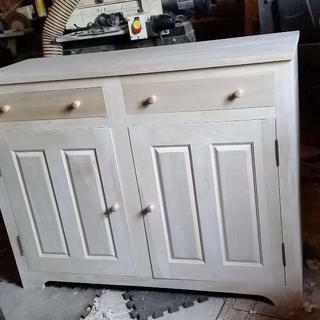 Working on a bath vanity and will start new kitchen cabinet doors this spring. Looking for easy clean cut on the end of the rail. I am building some custom cabinets and wanted a cleaner cope on my rails. Safe to use, keeps hands and fingers out of the way. tired of near misses with the fingers and the older I get the closer to my fingers I come. I have the original version which I have not used yet. Do anyone with the original sled original have a solution for this problem, so that the sled can be used for more than one rail setup? Does anyone have the previous version (without the clear guide) and also have this new version? Or has anyone been able to upgrade the old one to prevent cutting into the sled? I'm on the fence about whether to buy a 2nd coping sled just to get the function of the clear guide... Thanks! BEST ANSWER: The "old" sled (without the plastic guide) is approx. 13-1/2" long. Wouldn't it be feasible to make a 1" x 7" long cope along the edge of the sled closest to the fence, leaving 1-1/2" at the front corner of the sled and 5" at the rear corner. These remaining portions would slide along the fence and would provide greater stability for the sled. The end of the rail would be positioned within the coped portion of the sled. To begin routing the end of the stile the sled would be moved inward toward the fence and then, after the sled comes into contact with the fence, the sled would be moved along the fence to make the cut in the rail Immediately after the cut is finished the sled would be moved away from the fence. I have had the original for about 12 years. I immediately realized I was going to cut into my sled so I have always placed the same 1/4” strip of plywood under my rail. 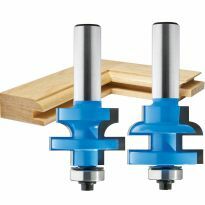 The shim must be supper than the rails width to ensure a snug clamp. This has worked for me for year until just recently when i bought a new set of cabinet bits that cut up to 1 7/16 thick material. That is when i realized this new plastic guide. 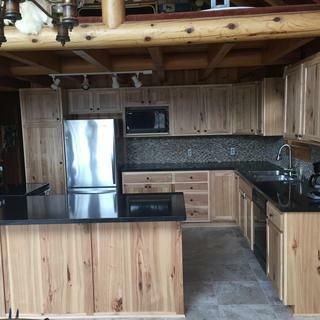 I am going to try to retro fit my original but if it isn’t perfect Rockler will have my business for the upgrade. I second what the previous person said. I also had the previous version (with the problem of the bit cutting into the sled base). Even though I was reluctant to buy the second one, it was well worth it. I wish Rockler had worked out all the bugs before I bought the first one, but I gotta admit that the new sled is a great product and well worth it. It took me about 10 minutes to set up and I was ready to roll. The very first pass made a rail with a perfect fit. Great design. Yes I have both and with the first I also had the problem of cutting into the sled. I thought that I might try to convert my old sled but just decided because everything had to be so accurate that it would be best to just buy the new one. Glad I did just finished building a set of doors for a whole house full of cabinets and the sled looks brand new even the sacrificial wood has only one cut on it. Worth the money. What is the exact distance from the center of the guide bar under the sled to the right edge of the sled base? BEST ANSWER: There is no guide bar under the sled. The sled rides against the fence, thus making it usable with any router table with a fence. If I understand the question correctly, the centerline from the guide rail bolts to the right edge of the sled is 3/4". It is another 3/4" from the right edge of the sled to the right edge of the guide rail. Will this work on a kreg table ? BEST ANSWER: I have benchtop Kreg table. It works but it seems to work with any table because it does not have anything on the bottom to be put into table track. The bottom is simply flat. You should keep it moving along the fence by hands while routing. 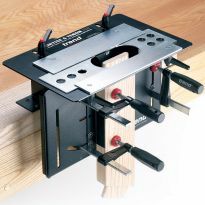 Acutally I would prefer to have a sliding bar or something else on the bottom of the sled to put it into table track and to make sure it is not "pushed" away from fence by router bit. I did not pay attention to that when placed order. Figured it out only when received the sled. Anyway it is a nice help in workshop but not ideal because of the mentioned above. Sergey B - the reason the sled does not have a t-track insert on the bottom is because, it's incredibly difficult to perfectly square a fence to the t-track, so if you dont have the track and fence square, you can damage your wood, get kickback and/or pinch the wood. Just want to provide a reason why there is no t-track insert. Thanks! Agree with you. Thank you for comment, Dan! I have the Kreg router table and this Coping Sled works flawlessly with my table. It's a great cost effective unit. 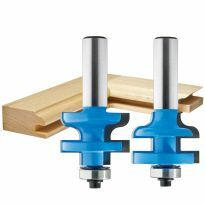 Sharp router bits will help a lot with push away. I don't see why it would not work with any table. what are the physical dimensions of this sled? BEST ANSWER: The base is 12 1/2" long by 7 3/4 wide. The clear guide that runs along the router fence extends another inch passed the base and is 16 inches long at its widest point. It is 12.5 inches long and 7.75 inches wide at base. 8.5 inches wide including clear play the rides along fence. It should work on any router table. BEST ANSWER: Thanks for pointing this out. Being a newbie to sleds, I probably would have figured this out when my second set-up kept having tear outs. Yes you do. If the sacrificial piece doesn't match the bit or shaper cutter profile you run the risk of tear out. Yes Jack, your assumption is correct. You will need a different sacrificial piece for each bit. When doing rail ends can you use the sacrifial piece over and over if using same bit? I’ve used it many times (with the same thickness stock and bit set). If you use it to set the height of the bit, it could conceivably be used indefinitely. You can use the same rail with the same bit and it serves as template for bit/fence set up. Thank you Dave. I don't think I stated this right. My question was can I use the same sacrifice piece of wood for every rail end I cut. Or do I have to use a clean sacrifice piece for each rail end? I ask this because after first cut some of your sacrifice piece is cut away. Thank you for you reply. Each cut of the same type (rail end tenon or groove) should be the exact same as the cut before it so there should be no splimter or tear out. Is the fixed fence removable as to add a second toggle clamp to hold the sacrificial block? BEST ANSWER: No need to do that - and I think that would undermine a lot of the designed in functionality. There are 2 horizontal holes through the fixed fence that allows you to put screws into the side of the sacrificial block to hold it in place. There are horizontal holes through in the fixed block for securing your sacrificial block. Screws came with the sled. I see no practical reason why you couldn't replace it with one smaller. But remember safety first so make sure the material is firmly clamped down. Yes you can, I can not see why you could not. Is this sled compatible with my jet 3 hp shaper? I do not know. truthfully, I bought it some time ago and have only used it on my router table. I have not attempted to use it on my shaper. will this work with a bosch ra 1181 router table? BEST ANSWER: Jeff I purchased this item about 2 years ago. I have the same router table and it works great. I'm sorry, but I'm not familiar with your named router table. I have a modest table I bought from Harbor Freight (no longer available). 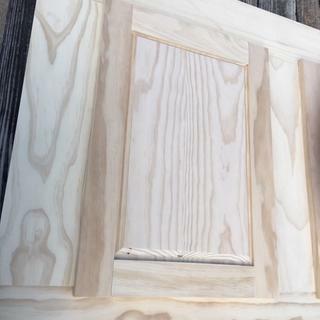 I am using the clear plastic shield at the top of the product picture to set the distance from my router fence in order to cut the end of a window frame using one of a matched pair of cutters and it works great for me cutting end grain cherry with a sacrificial board to the right of my piece to prevent tear out. I hope this helps. Regarding " the reference edge is a separate clear guide rail elevated 2'' above the table"...is this the TOP or the BOTTOM of the guide rail that is 2" above the table? How thick is the reference edge? Trying to gage if this is compatible with my current router fence, or if I'll need to make a new face for it to use with this jig. BEST ANSWER: Jeff I don't have the sled with me as I answer your question but the guide is 1/8" to 3/16" thick and I think it is 2" to the top. I use it on both my shaper and router table. The feence on my table is 3-1/2" tall. The top of the clear guide rail is about 2 1/8 inches above the table. I think you would need a router fence that's at least 2 1/4 inches high. 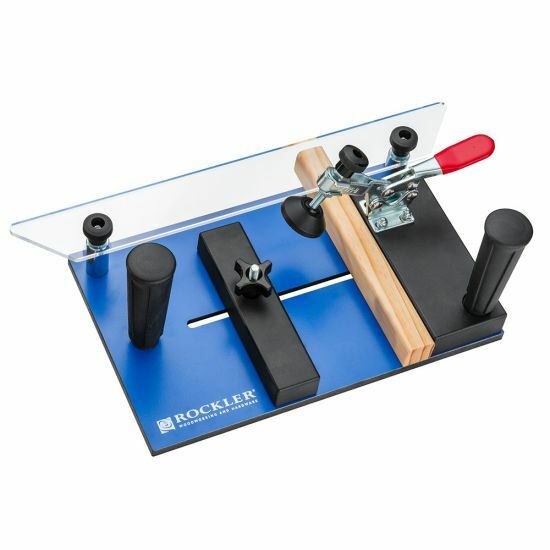 What is the best way to square the fence on the Rockler table so that it is parallel with travel direction of the sled? BEST ANSWER: The machine doesn't depend on a straight cut like a table side with a blade that travels in a fixed direction. It' been my experience that square doesn't matter, only the distance that the work is held in relationship to the bit. It could be at any angle and do the same job equally as perfect whether the fence was square or not. Do you have an application that doesn't work this way? You can use a speed square to help position the fence properly. When using the table to make tongue cuts with small width pieces you can have your work piece slip off the bit bearing if the out feed fence is not inline with the fence and bearing. This is not a problem with making grooves. Hi, will it fit my Kreg routing table? BEST ANSWER: It doesn’t utilize the t slot so it will work on any table. Does anyone have a dimension from the bottom of the sled to the top of the clear piece that rides against the router table fence? Can this be modified to work with slightly thicker stock (1.5")? How about slightly wider stock (5.5")? The specs say max thickness is 1.25" and max width is 5". BEST ANSWER: If you take the clear plexiglas top off you could put taller stock into it. I can’t see an easy way to mount wider stock. Can the height of the "clear guide" by adjusted up or down, (with washers, perhaps?) in case it comes up against a fence's T-track? BEST ANSWER: It can be however you would need to change the special t head bolt and use washers to raise the plastic fence. To lower it you would have to change the spacer size. I have used this many times and it’s performance has been successful. 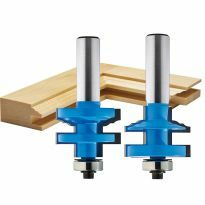 what is easiest way for setting up router bit allowing for 3/8" sled base? The instructions don't mention the abrasive strip. The exploded view seems to indicate it goes between the adjustable fence and the work piece, presumably with the abrasive side towards the work piece. Am I correct? I'm new to this kind of product, so I don't take anything for granted. BEST ANSWER: Yes you are correct. The abrasive strip goes on the inside edge of the adjustable fence that is used to hold the wood you are routing against the sacrificial piece. And it should be on the inside edge so it provides tension to the wood you are holding in place. Will this sled work with my Bench Dog Router Cabinet? BEST ANSWER: Yes it's universal as long as you have a fence on the router table. It is guide by the the fence.